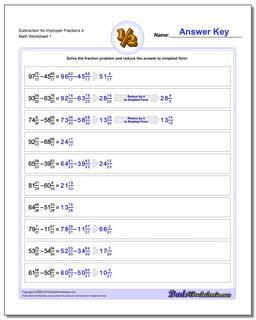 Fraction addition with improper fractions. 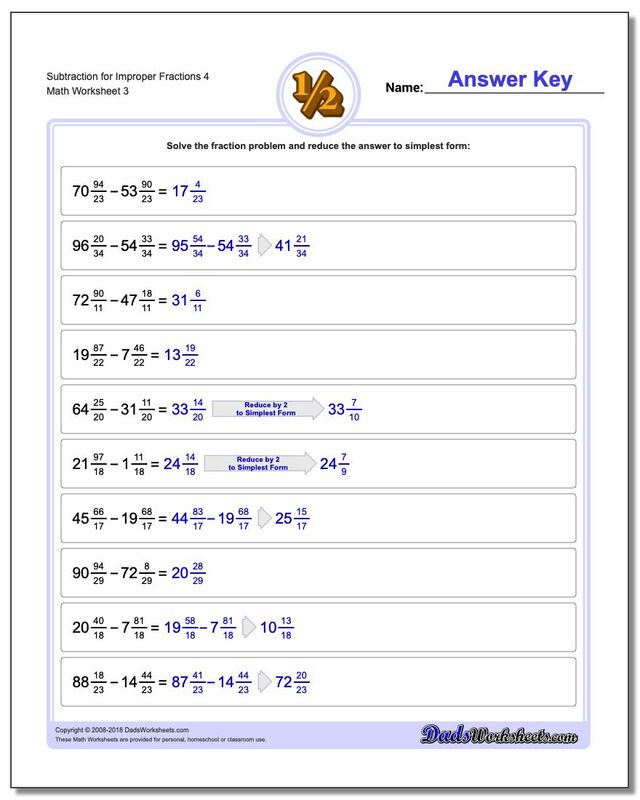 We return briefly to subtracting fractions with like denominators, but in this series of worksheets the problems begin with improper fractions. 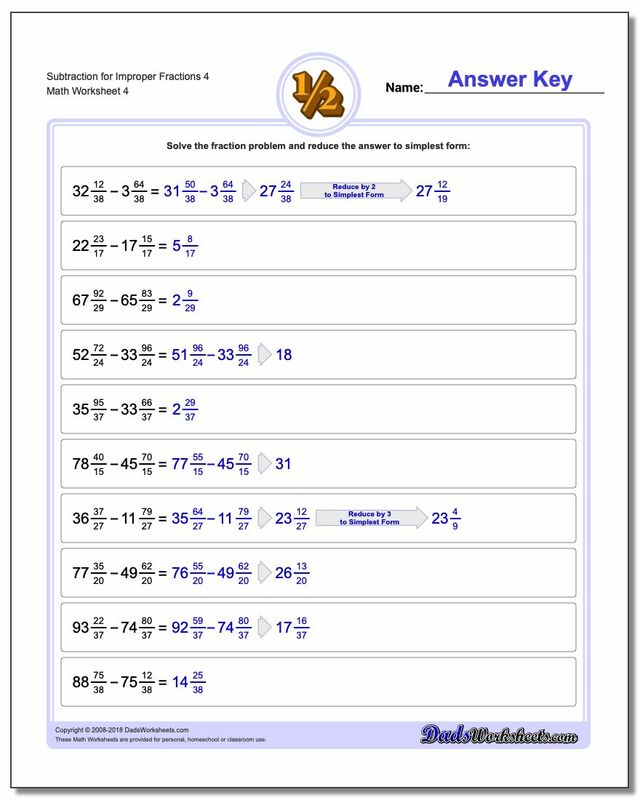 This series of subtracting fractions worksheets will exercise skills in reducing fractions to mixed numbers.